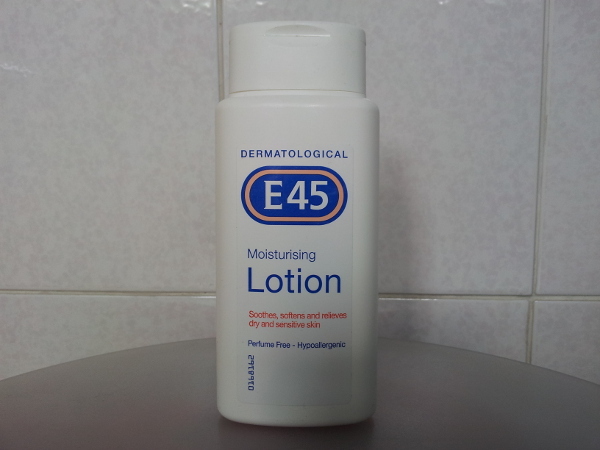 As I described in my earlier post, I recently received a free bottle of E45 Moisturising Lotion to try thanks to the company BzzAgent. I won't repeat everything I wrote before, so this will be a much shorter review! 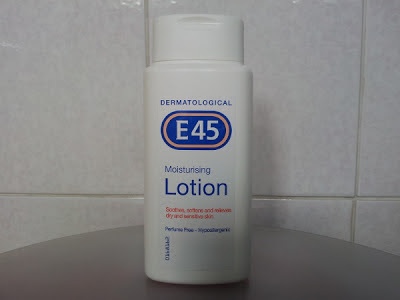 Although I prefer to use the slightly richer E45 Nourish and Restore on my feet, I've decided that the E45 Moisturising Lotion is more comfortable to use on my arms and shoulders as it feels a little bit lighter. As with the Nourish and Restore I won't use it on my hands because the residue is too hard to clean off, but I do like this product slightly more because it's unfragranced, which means I can use it for one of my favourite cosmetics tricks: making expensive, beautifully scented lotions go further. It's also good for altering the consistency of a product that I don't like to make it a bit more runny, and if I want it to be more moisturising, I just add a few drops of olive oil. Out of the two products, this is the one I'm most likely to purchase once my sample bottle runs out!